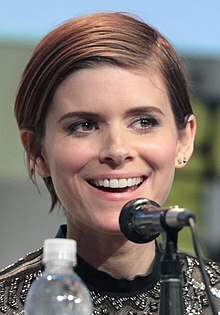 ^ Kate Mara. TV Guide. [September 1, 2014]. ^ Woo, Kelly. 'Fantastic Four' Co-Stars Kate Mara and Jamie Bell Get Engaged. moviefone. 2017-01-13 [2017-01-13]. ^ Moniuszko, Sara. 'Kate Mara and Jamie Bell marry in Los Angeles. usatoday. 2017-07-17 [2017-07-17]. ^ McNary, David. Fantastic Four: CinemaCon to Honor Cast. 2015-04-15 [2015-04-23].